This article is about the story event. For the summon stone, see Lonesome Dragoness (Summon). 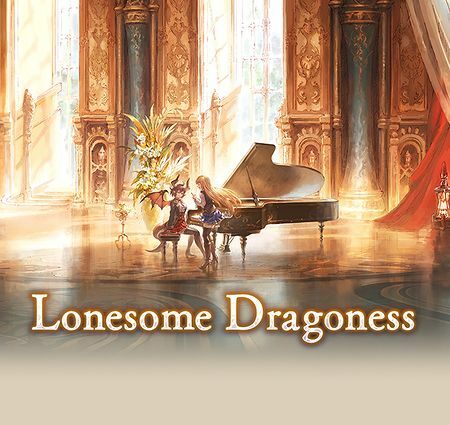 Lonesome Dragoness is a side story that became available on August 9th, 2018. It is unlocked after clearing Chapter 48 Story - An Awakening . But curiosity has its consequences. unleashing terror into the skies. the darkness and regain its prestige. 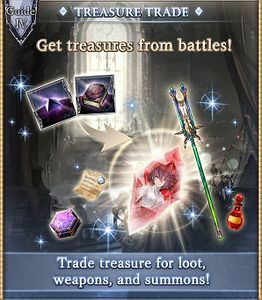 This side story is the first to offer both the SSR summon and weapon fully uncapped as rewards simply for clearing the story and showdown quests. Mysterian Holy Scepter is a staff with a EX Wind ATK boost weapon skill and boosts the Charge Attack damage for staff specialty characters. New players may still use it as a placeholder until you get a better EX Wind weapon such as Xeno Conviction Flashspear. Note that for Mystic/Nekomancer, Wind staves aside from Promise are somewhat difficult to obtain outside of Premium Draw and events. Otherwise, it is unremarkable. Lonesome Dragoness (Summon) has a very useful call effect which can dispel one buff on all enemies. Despite the drawback of also dispelling a buff on your own party, it may allow the flexibility of not needing DispelRemoves one buff from a foe on your Main Character depending on the fight. 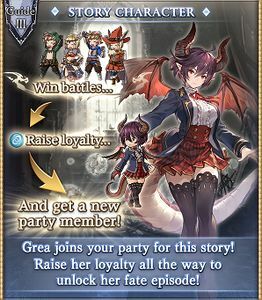 Grea (Event) joins you after completing Chapter 2-1. Earn 750 loyalty to unlock her Fate episodes. The name Mysteria is the English localization of the name Manaria in Japanese. 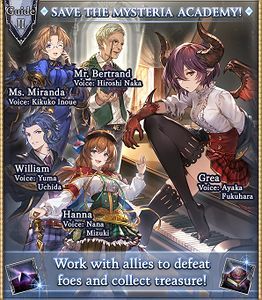 All of the characters featured in this event are originally from Rage of Bahamut. 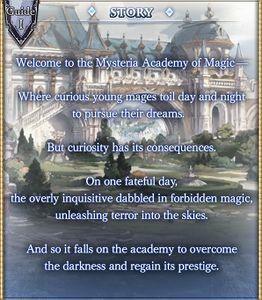 An event featuring the Mysteria Academy of Magic also occurred in Rage of Bahamut with the same characters and a very similar plot.